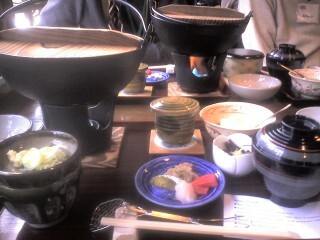 the Keitai Goddess : Lunch! We are on a roadtrip to Hida in Gifu-ken. After a long bus ride we were presented with this feast. Yum!